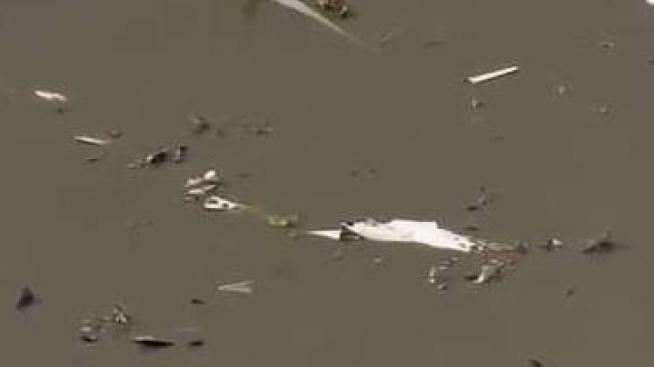 A southeast Texas sheriff said Sunday that two bodies have been recovered at the site where a Boeing 767 cargo plane crashed into a coastal bay. All three people aboard the Flight 3591 died, according to the plane's owner. The plane's owner, Atlas Air, issued a statement Sunday confirming the deaths, adding that its "primary focus is working to provide the families of those affected with care and support." Atlas was operating the flight for Amazon when it crashed Saturday afternoon near the small town of Anahuac. "This is a sad day for the entire Mesa Family as we mourn the loss of Captain Sean Archuleta," airline Chairman and CEO Jonathan Ornstein said. "This is a loss for all of aviation."